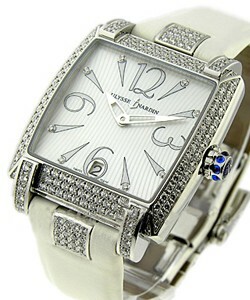 This watch is also known as: 133-91ac/0602 , 133-91AC-06-02 , 133-91AC/06-0 . 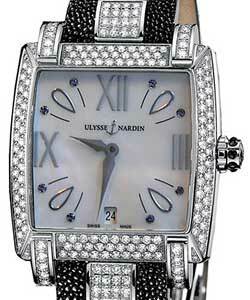 Ulysse Nardin Caprice equates to desire and elegance. 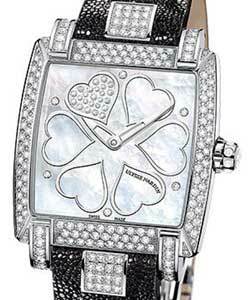 It captures the hearts of ladies as it is especially made for them. 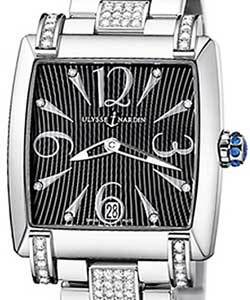 This mechanical jewel is made up of a steel case and lugs, embellished with gleaming full-cut diamonds dancing with the rays of light. 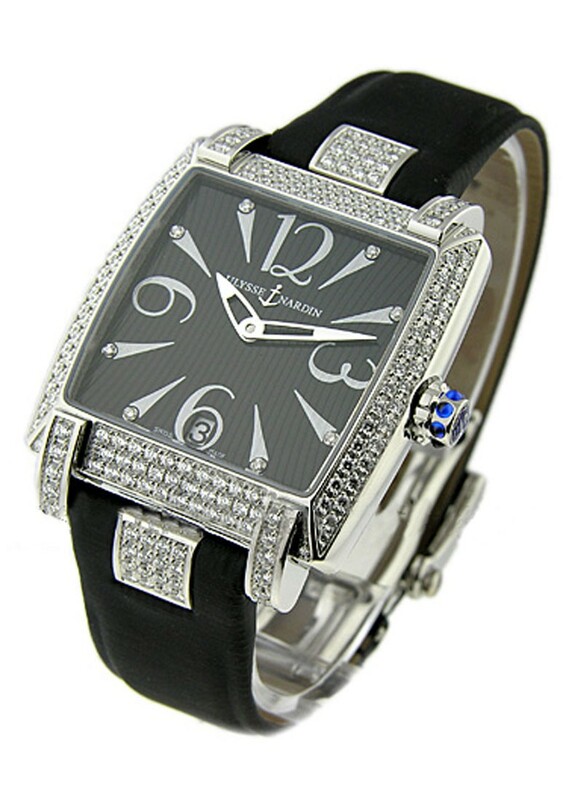 It cradles an aristocratic-looking black dial; huge conspicuous hands; legible Roman hour markers, each with corresponding diamonds; and a date display window at 6 o' clock position. 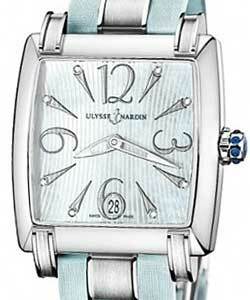 Ulysse Nardin Caprice is boosted to life by automatic movement, with 42 hours of power reserve,thus, ensuring its accuracy and reliability in timekeeping functions. 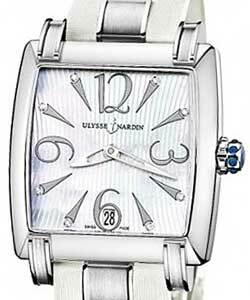 It is also water resistant to 50 meters.The smooth case is attached to comfortable black leather strap that is secured to the wrist by a sturdy folding clasp.